This book is meant to be a companion to “Heretics,” and to put the positive side in addition to the negative. Many critics complained of the book called “Heretics” because it merely criticised current philosophies without offering any alternative philosophy. This book is an attempt to answer the challenge. It is unavoidably affirmative and therefore unavoidably autobiographical. The writer has been driven back upon somewhat the same difficulty as that which beset Newman in writing his Apologia; he has been forced to be egotistical only in order to be sincere. While everything else may be different the motive in both cases is the same. It is the purpose of the writer to attempt an explanation, not of whether the Christian Faith can be believed, but of how he personally has come to believe it. The book is therefore arranged upon the positive principle of a riddle and its answer. It deals first with all the writer’s own solitary and sincere speculations and then with all the startling style in which they were all suddenly satisfied by the Christian Theology. The writer regards it as amounting to a convincing creed. But if it is not that it is at least a repeated and surprising coincidence. THE only possible excuse for this book is that it is an answer to a challenge. Even a bad shot is dignified when he accepts a duel. When some time ago I published a series of hasty but sincere papers, under the name of “Heretics,” several critics for whose intellect I have a warm respect (I may mention specially Mr. G.S.Street) said that it was all very well for me to tell everybody to affirm his cosmic theory, but that I had carefully avoided supporting my precepts with example. 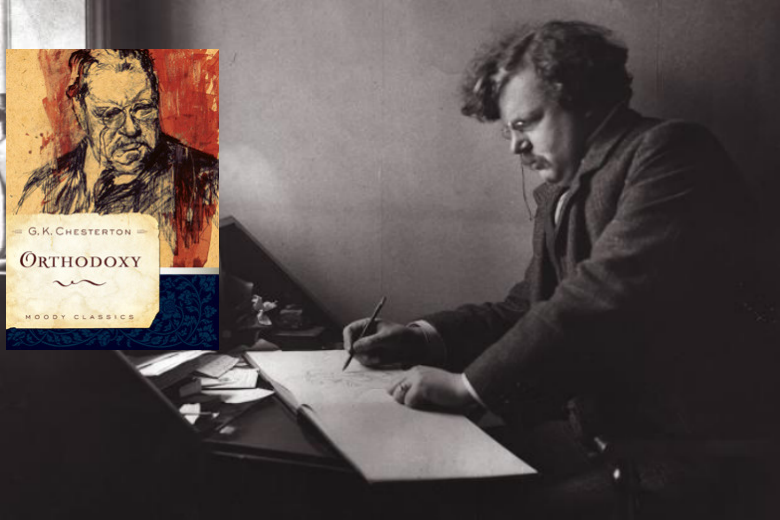 “I will begin to worry about my philosophy,” said Mr. Street, “when Mr. Chesterton has given us his.” It was perhaps an incautious suggestion to make to a person only too ready to write books upon the feeblest provocation. But after all, though Mr. Street has inspired and created this book, he need not read it. If he does read it, he will find that in its pages I have attempted in a vague and personal way, in a set of mental pictures rather than in a series of deductions, to state the philosophy in which I have come to believe. I will not call it my philosophy; for I did not make it. God and humanity made it; and it made me. Read both many years back; time to visit them again. They seriously rewired my theology (also loved seeing Shaw taken down a few pegs).